We have used the Pokemon go Android Hacks guide in our Android Phone and selected the working hacks. ‘Pokemon Go’ has been one of the most downloaded and most popular game in recent times in the Android Games History. Even the game developers Nintendo and Niantic ever imagined that this Pokémon Go will reach the top of the Everest in quick time. In less than few weeks, the game has been downloaded by more than 50 millions of Users in Android and iPhone. Pokemon Go has surpassed the most Popular games, Even the Best Android Games like Angry birds, clash Royale and Other Car Racing games. This reality based game built by using Unity 3D, which wins the hearts of million users. The game is addictive enough to play. However, the Pokemon go beginners need few best Pokemon Go Tips, Tweaks, Cheats and Hacks to get the most out of this game. Also, you need community driven Pokemon go packages to get more fun from this game. Since it is a reality based game, if you are in the outside of top Pokemon gaming countries, you will get nothing from this game. You need to be in the top Pokemon go Released countries like Hong Kong, Latin America and Caribbean islands,Malaysia, Palau, Papua New Guinea, Philippines, Singapore, Thailand etc. However, You can use the following Best Pokemon Hacks and Tweaks to use Pokemon Go in non releasing countries too. I Love this game and Collected the Best Pokemon Go Android hacks, Cheats, Tricks for myself. Then Decided to Share this awesome guide with all our users. You can use this Pokemon GO Hacks for Android to Gain XP points, Gain Health, Play the Pokemon without moving at Home, Pokemon Maps etc.. There are many Pokemon Go Hacks Android for Fake GPS Location Spoofer hacks available, but all of them not working right now with latest Pokemon GO 0.43.4 update. These Pokemon Hacks will put you at serious risk of being banned by Niantic. However, We have discovered this Working FLY Fake GPS Location Pokemon hack right here in Spicytricks. Also, You can use this Fake GPS Location Spoofer for Pokemon Go without installing TutuApp. This Fly GPS Pokemon Hack will allow you to have the Joystick with complete GPS Location Spoofing. Also, Without rooting your Android Phones, You can fake the location of android phones to play Pokemon go. For this, You have to download the Fly GPS 4.0.5 Apk. Install this app, then activate the developer options in your Android Phone and then go to the Mock locations. There choose the Fly GPS as your mock location app. By default the Pokemon GO come with Root Detection and Jailbreak detection. If you have the rooted Android Phone, You can’t install and Play the Pokemon Go. To bypass this detection, Jailbreaked iPhone has PokePatch Cydia Tweak. By using this PokePatch, iPhone users can Jailbreak detection on their device. However, PokePatch for Android has not been released yet. So that, We found another work around to bypass the Root detection by Pokemon Go in your Android Phone with PokePatch. An app called Hide My Root from Google Play Store will help you to bypass the root detection from PokeMon Go. Just Download the HideMyRoot app and then enable hide SU binary Option. That’s it, now you have bypassed the Pokemon Go Root Detection without Pokepatch in Android Phone. Pokemon GO Anywhere is the one of the best trick you must try in PokeMon Go. For this, You have to install the Pokemon Go Joystick v2.4.4 XPosed Module in your Android Phone. This Trick is for mainly Rooted Android device. Since, You need the Xposed framework to install Pokemon Go JoyStick in your android device. To install the Xposed framework, you have to root your Android Phone. This is one of the coolest Pokemon Go Hack for Android phones/tablets. Please read the below full guide to root and install Pokemon JoyStick Go to play Pokemon without walking or Moving. Download the PokeMon Go Joystick here. Here is the full guide to Play the Pokemon Go Anywhere without Moving in Android. One of the major issue while playing the Pokemon Go is the you have to keep open the Pokemon Go App. Ultimately It will drain your battery in the long run. But there’s a workaround for this issue, using this you can improve your Android Battery life while playing PokeMon. The app is called “Poke Lock” which will enable the virtual lock screen over the app without using default system lock. By doing this, You can play Pokemon App from Lock screen of the phone by double tap or other options. Virtually, this app will lock your phone with black overlay and disable touch functions. Now, You can play the Pokemon App without draining Battery and unwanted unlock in your pocket. Use this Pokemon Hack for Android and play the game long time. By using this PokeMon Trick, You can get the all available pokemons in your area in the Map. You don’t require any hack or anything else. Just download and install the Pokemon Go Map project from Github and install in your PC. You need Python, PIP and Pokemon GO Map files. Just follow the following Guide to install the Pokemon GO Map in your PC. By using this Pokemon Go Trick, The Map will Show Pokemon, Pokestops, and gyms with a clean GUI. If you don’t want to run the Pokemon GO All the time, but want to track nearby Pokemons. Then You have to install the Poke Detector App in your Android Phone. After installing this app set the scan interval to detect the nearby Pokemons. 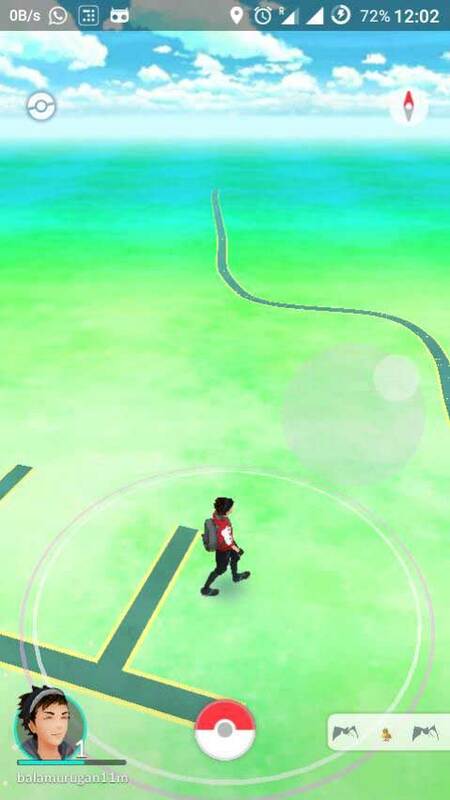 The app silently will run in the background and will notify you when it detects the Pokemons near by you. By Using this app, You can save the Battery Life of Android Phone when playing the PokeMon GO. You can also connect this app with your Android wear watch get the instant notifications of the Pokemons near you. Pokemon Go is the extremely graphics intensive augmented Interactive Reality Game. You often need to open this app for long hours when you play, which will of course will drain your Phone’s battery life. Because this app needs you camera sensors, Real Time GPS Location sensors. However there is a fix for this battery draining issue the Pokemon GO with inbuilt settings in the app. Just hit the Pokeball at the Bottom of the screen and the select settings in the right top. There you can choose the “Battery Save Mode”. After this, the Pokemon logo will be shown in the screen when you have your phone in the pocket while walking or moving anywhere else. This will limit the use Graphics in the app, but you will still notified when pokemon or poke stop is nearby. You may receive this pokemon server error like this “Our servers are humbled by your incredible response. We are working to resolve the issue. Please try again soon!” error? 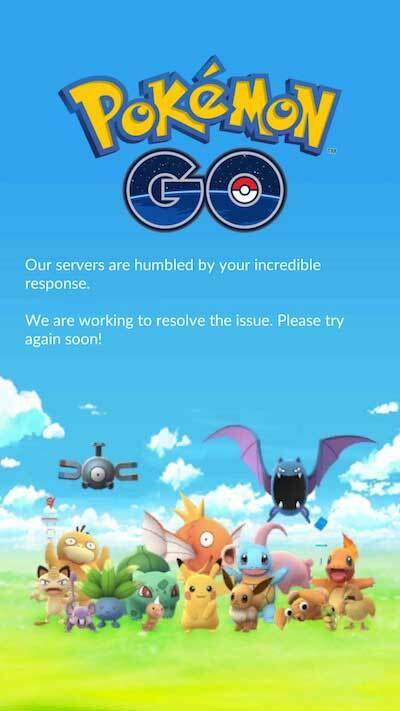 This may the Internet connection error or you can’t access Pokémon Go is due to server outage, downtime. This error clearly indicated that the Pokemon GO Server was hammered by the overwhelming response or some internal technical error. To Become the best Pokémon Trainer, You have to gain many XP points (Experience Points). To gain XP Points quickly in the Pokemon Go, you have to use your Lucky Eggs wisely. Once You activate this lucky eggs, the XP Level will be boosted the next 30 Minutes. You have to use the lucky eggs strategically, that is new players often wasted their lucky eggs without knowing how to use lucky eggs in Pokemon. You can activate the lucky eggs with incense item. Also, if you have many poke stops near you, activate the lucky eggs to get more XP Points. Your Pokemon will lose the health when you can continuously battle in the map. In that time, Your pokemon need to healed to revived to get full health. By default, In the Poke Stops, You use Potion or revive item to restore the full health of the pokemon. If you are decided to restore the health of the Pokemon, don’t waste the Item in the stops. Use this workaround to revive the Pokemon, hit the Pokéball, go to Pokémon, select the Pokémon, and hit evolve. That’s it, Your pokemon will Evolve and gain the full health. We’ll continuously update this Pokemon Go Android hacks Guide with new hacks, Cheats and tweaks. To get that tips, subscribe to out newsletter. Pokemon Go TIP : How to Earn Extra XP, Stardust and Level Up Faster?